PACIFIC DRIVING SCHOOL serving Queenslander’s since 1975. PACIFIC DRIVING SCHOOL was established in 1975. Our vision has always been to improve the quality of driver training as we know it today and in turn save lives. 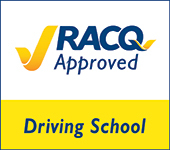 We are proud to be an RACQ RECOMMENDED DRIVING SCHOOL which means we are accountable for ensuring our high standards are maintained. We are dedicated to producing exceptional Driver Trainers, whom we believe subsequently provide higher standards of driver training than most of our competitors. PACIFIC DRIVING SCHOOL prides itself on high quality, good service and competitive rates. We have helped thousands of drivers advance from a learner’s licence to a driver’s licence since 1975. We trust your association with us will be both happy and rewarding.